Need a little help deciding what to do the next time you visit Toronto? Here are just a few things you might want to check when you visit this beautiful city. No visit to Toronto is complete without a stop at the CN Tower. The world's largest free standing structure, the tower stands at 1,815 feet. The elevator ride to the top is considered by many to be an attraction in itself. 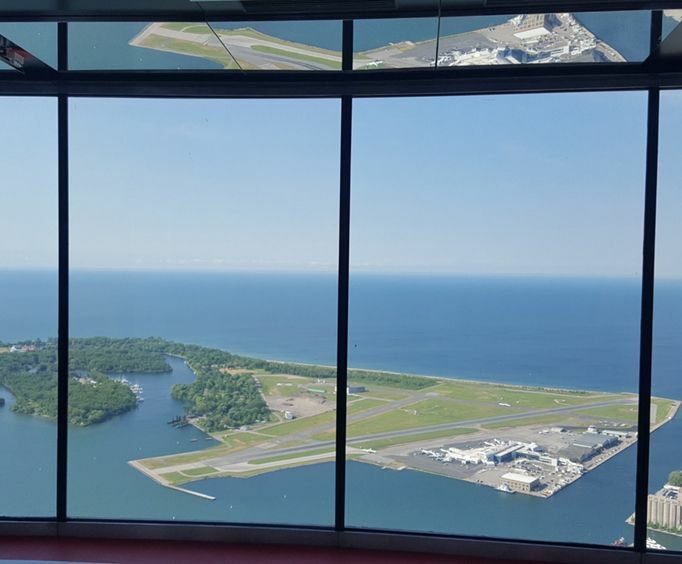 At the top, you'll enjoy 360 degree views of Toronto, Lake Ontario, and the surrounding area. On a clear day you can even see Niagara Falls and Rochester, New York. Be sure to also check out the observation deck which features an amazing glass floor where you'll feel like your standing on air! The tower also features an arcade, shopping center, restaurants, and more. You'll receive a 2 day pass complete with on/off privileges allowing you to explore the city at you leisure. The bus makes a continuous loop around the city stopping at attractions such as Chinatown, CN Tower, Casa Loma and more. You can sit back, relax, and see the city or hop off at any stop and enjoy shopping, sightseeing, or grab a bite to eat. You then simply hop back on the bus when it come back around. See the city at your own pace with this great tour option. This one hour narrated cruise will showcase all the sights and sounds of the city. You'll enjoy magnificent views of Toronto's skyline as you cruise the harbor and discover all the small islands and overall beauty of the area. With the this multi activity pass, you'll enjoy admission to six major attractions in Toronto for one price. There is no waiting in line, your ticket is in your pass booklet and you simply bring it with you to the attraction you wish to visit. The attractions included in the pass are the Toronto Zoo, Casa Loma Castle, CN Tower, Ontario Science Center, Royal Ontario Museum, and the Art Gallery of Ontario. With the citypass you can see all the major attractions for a great low price. These are just a few of the many attractions and activities that Toronto has to offer.